We do more than wash, dry, and fold. We take care of your clothes. 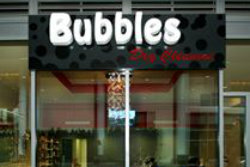 Bubbles Dry Cleaners is famous for the tender loving care we give to every customer’s wardrobe. We come highly recommended by our regular customers and we are glad that our clients are increasing in number as we continue to impress them with our total quality approach to every batch of clothes dropped off at our shop. We are open to any customer feedback. Your suggestions will make us serve you better with your laundry, alterations, and dry cleaning needs. Send us a message and tell us what you think.